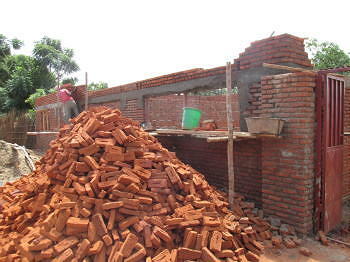 LifeNets is funding the building of a security wall around the property of the United Church of God in Lilongwe, Malawi. 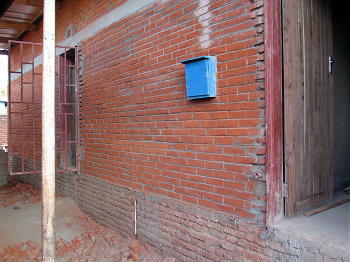 A security wall is a necessity to secure property that is very vulnerable to theft. Next within the wall perimeter, LifeNets is constructing three shops facing the busy street where many people come by daily. 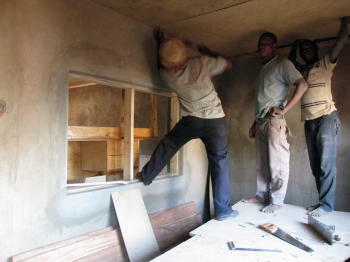 One shop will be an Internet cafe, another area will be the LifeNets office. The shops will generate revenue for the operations of the church ranging from funding summer camps for children to women's programs. Here is the progress as of the first part of April. 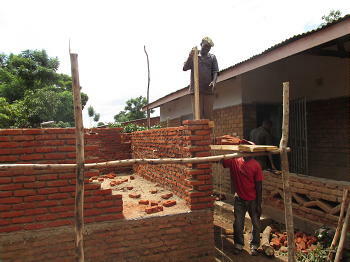 We are happy to report that the LifeNets projects in Malawi are going well. Recently the LifeNets board was reorganized to meet the requirements of NGOs allowing for one half of the members to be outside Malawi. This allows for more oversight and protection of the property. 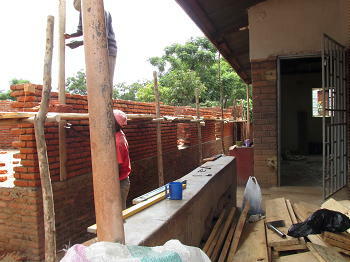 There are two projects that are currently in progress, one in Blantyre in the south of Malawi and one in Lilongwe in the central region. 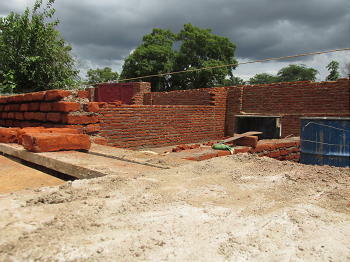 In Lilongwe, property with an existing building was purchased a few years ago for the local church. The church uses the building for its weekly worship services. It is in a good location in the middle of the city and can be reached by bus as the members do not have private transportation. They come to services via bus or on foot. The LifeNets Malawi office is located at the back of the Internet cafe and the high speed internet and utilities which are being installed can serve for both areas. A primary school and a community day secondary school are very nearby, our hope is that students and teachers will use our internet cafe for their Internet needs. A survey conducted showed that there are no internet services within the vicinity and therefore LifeNets would like to tap into that market. 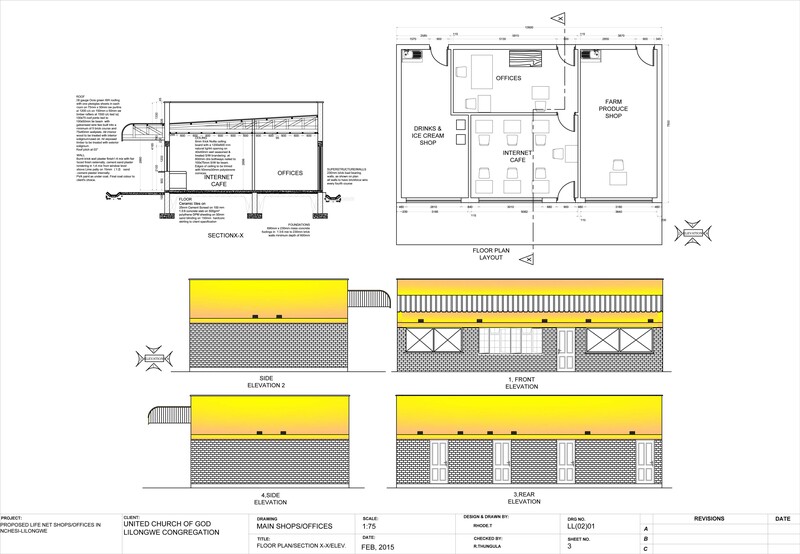 The cafe will have all of the facilities that are needed such as photocopying, binding and at times typing services. Most schools in Malawi would like to have all end of term and midterm examinations typed. 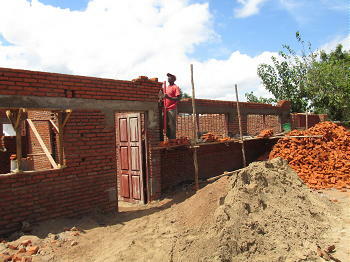 Plans are also underway to expand the church's meeting hall and to paint and update it. The property has frontage on a main road and LifeNets has financed the building of three small shops along the frontage. 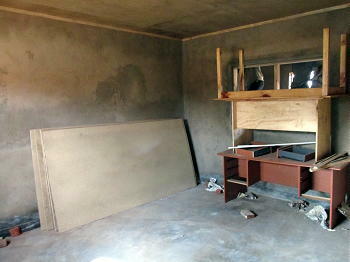 The idea of having shops is to provide an office for LifeNets as well as income for the Lilongwe, Malawi church. The strip of shops will be called LIFENETS BUSINESS CENTRE. 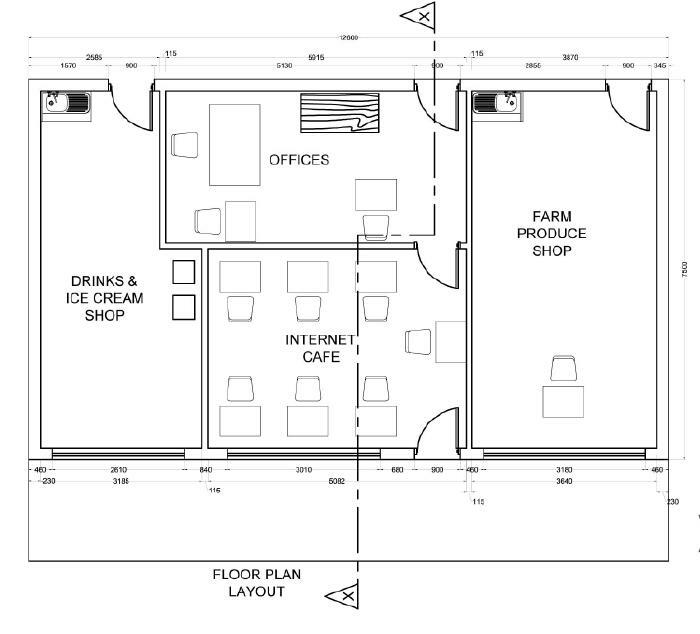 The shops will include an Internet cafe and ice cream and snack shop. We would also like to see it accommodate the sale of locally grown produce from our members.